Pomapallier Catholic College performance from Tōkihi ki Tua 2019. Performance from Tōkihi ki Tua 2019. More than 500 students from around Northland will meet at the Whangārei ASB stadium this Saturday as they perform in the Tai Tokerau secondary schools kapa haka competition. Competitors must perform a range of composition within their allocated bracket including Whakaeke (entrance), Mōteatea (chant), Waiata-ā-ringa (action song) and poi. 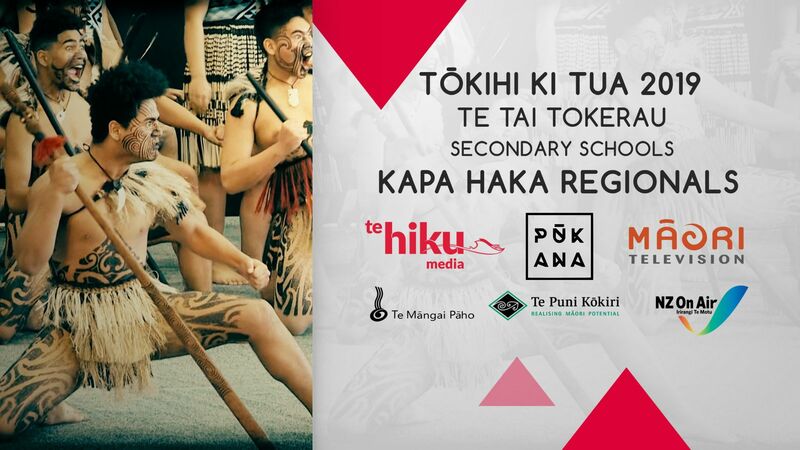 Groups will also be graded on their use of te reo within their performance. “Tōkihi ki tua”was the phrase given for the competition by Te Whare Wānanga o Aotearoa kaiwhakahaere Ruki Tobin. Tobin said he hoped the term would inspire youth to be proud of their heritage and a reminder of their empowering contribution to Māori culture revival and survival. The term “tōkihi” associates to the world of waka and “ki tua” indicates direction or to steer. ”Kapa haka is like a waka, it unites people, it connects people but most of all it is a vessel that transports important physical, spiritual and mental taonga,” Tobin said. 12 teams will take to the stage with Te wharekura o Taumārere kicking off at 9am.